It’s General Election time here in the UK with Voting in a couple of weeks time. After watching the Election Live debates, don’t you think that it would be more fun if we could pick a series of Challenges instead of debating?? Round 5. Ding. Ding. It’s Giant JENGA time on the lawn behind Number 10, that’s 10 Downing Street of course. Ed is meant to be holding the ladder for David but he’s looking a bit shifty! Natalie Bennett from the Green Party is very concerned about the Begonias looking rather dry!! What do you mean you don’t know what Giant Jenga is???? Categories: #LEGOElectionGames2015, Lego, Vingettes | Tags: Conservatives, David Cameron, Downing Street, Ed Milliband, Election, GE2015, General Election, Green Party, JENGA, Labour, Natalie Bennett, Number 10, Politics, UK, Westminster | Permalink. 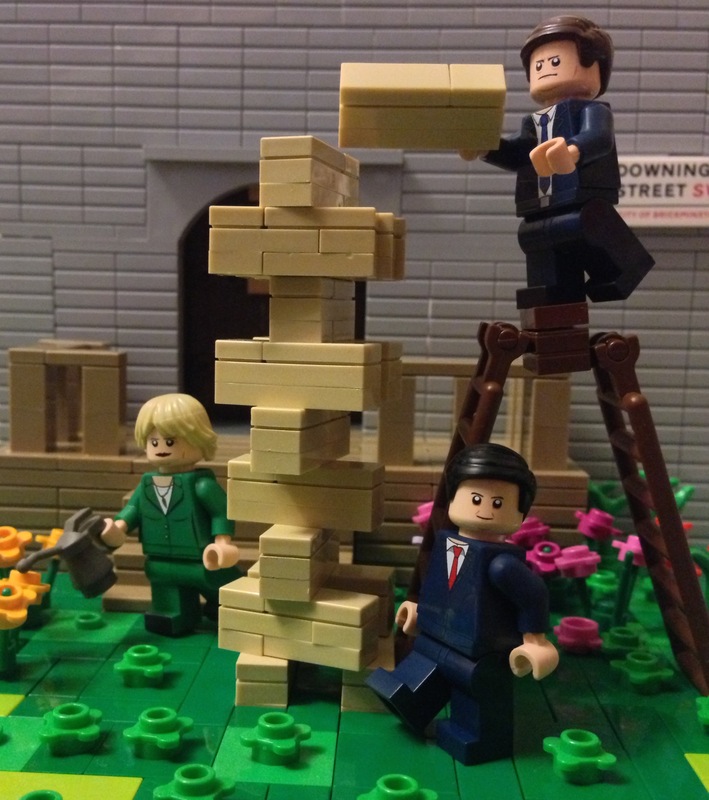 UK General Election Alternative – The Lego Election Games! It’s Election time here in the UK with Voting in a couple of weeks time. Round 4. Ding. Ding. It’s Race Day…100m Drag Fabuland Scooter Race. Natalie Bennett (The Green Party) insists on her ‘Carbon-Free’ Alternative ride. Meanwhile, Farage gets distracted by the ‘Frisky Bird’ beside him. Categories: #LEGOElectionGames2015, Lego | Tags: Conservatives, David Cameron, Downing Street, Ed Milliband, General Election, Government, Green Party, Labour, Lager, Natalie Bennett, Nigel Farage, Ostrich, Political, Politics GE2015, Race, UK, UKIP, Westminster | Permalink. It’s General Election time here in the UK with Voting in a couple of weeks time. After watching the Election Live debates, don’t you think that it would be more fun if we could pick a series of Challenges instead of debating?? 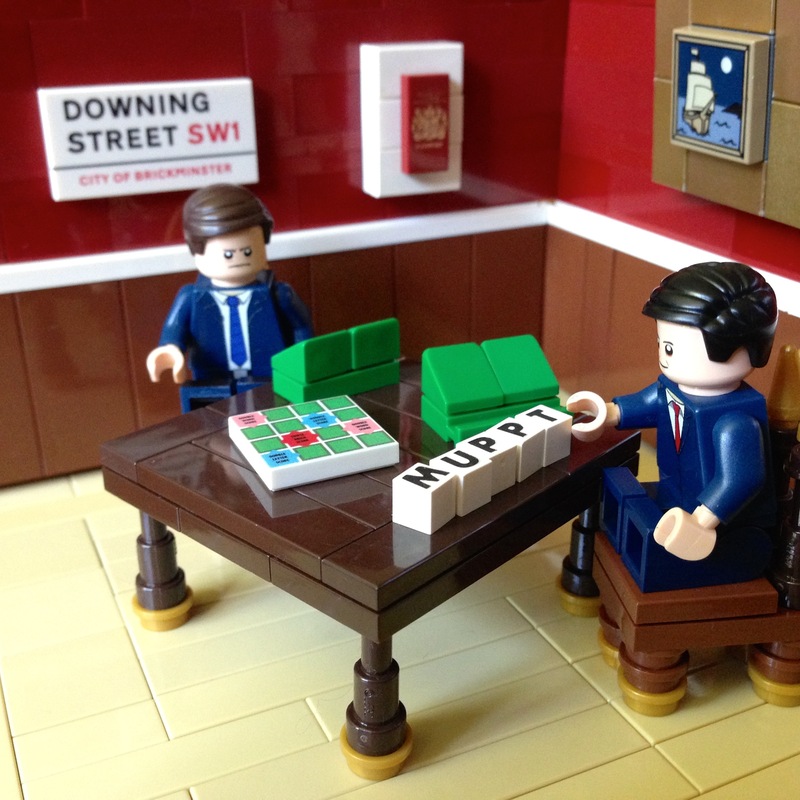 The Lego General Election Games! Round 2. ding ding. Scrabble at the Westminster Gentleman’s Club. It’s Ed Milliband, Labour Leader, first to play with David Cameron, Conservative Leader deep in thought. (don’t take my political persuasions from this, perhaps Ed is better at Hungry Hippos in Round 3). Categories: #LEGOElectionGames2015, Lego | Tags: Bedsits, Cameron, Conservative, David, Downing Street, GE2015, General Election, Labour, Lego, Milliband, Scrabble, Westminster | Permalink. Ding Ding. Round 1 at the Westminster Boxing Club. It’s Election time here in the UK with Voting in a couple of weeks time. Ed the Red in…erm…Labour Red and David Cameron in Conservative Blue. (don’t take my political persuasions from this, perhaps Ed is better at Hungry Hippos in Round 2). 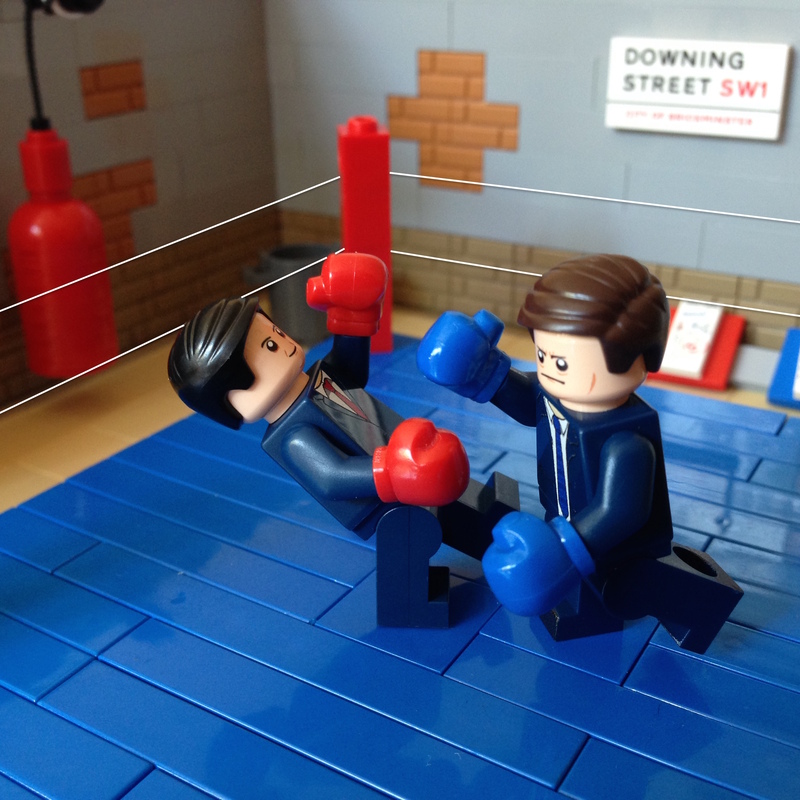 Categories: #LEGOElectionGames2015, Lego | Tags: Boxing, Boxing Club, David Cameron, Downing Street, Ed Milliband, Election2015, General Election, Lego, Lego Election Games, Politics, UK, Westminster | Permalink.